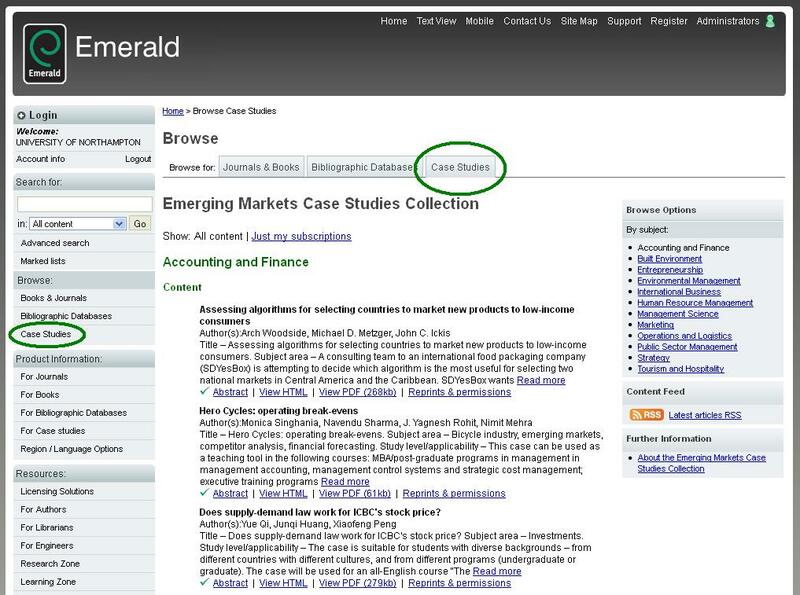 The cases studies are compatible with Refworks and other citation management tools. They can also be deep linked to NILE and added to Aspire reading lists in the same way as Emerald journals. Access is via the Emerald database and users should sign in with their University login as per usual. I hope you will agree with me that this is an excellent resource and it fills an obvious gap in our collection. Please get in touch with me if you have any questions or would like more information. Posted on February 10, 2014, in Library, Northampton Business School and tagged library, nbs, Northampton Business School, resources. Bookmark the permalink. Leave a comment.